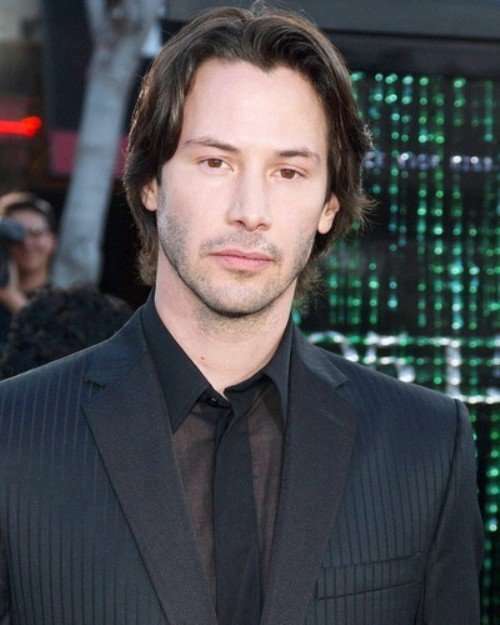 Keanu Reeves turns 47 on September 2nd. Yes, you read that right. Ted “Theodore” Logan is a middle-aged man. Sigh. He’s still pretty easy on the eyes, though. I don’t know what it is about Keanu, but there’s something about him – something in his eyes perhaps – that makes me feel all warm and fuzzy inside when I see him. His super-laid back, cool-dude persona, as well as his remarkable ability to keep his private life ultra private definitely works in his favor. It makes him mysterious, and thus H.O.T. A few details about the enigmatic Keanu have slipped out over the years, however, including the following…..
He’s Extremely Generous – Rather than wring every dime he could out of the popular “Matrix” movie series, Reeves signed away his back-end deal for the two sequels to the films’ special-effects and costume-design teams — an act of benevolence that cost him many millions. And it’s far from the only time he’s taken a financial hit in the name of his art — Reeves lowered his salary by a few million dollars for 1997’s “The Devil’s Advocate” so that producers could afford to bring Al Pacino on board as well. He’s a Coke Man – Before “Bill & Ted’s Excellent Adventure” — before even “River’s Edge” — Reeves built up his acting resume with a Coca-Cola commercial. Reeves, then 16, played a bicycle racer whose winning spirit is bolstered by the sugary, carbonated beverage. Watch him take the pause that refreshes in the video. He’s Ambidextrous – Though left-handed, Reeves played bass with his bands Dogstar and Becky in a right-handed manner. Despite this seeming advantage, neither band made much of an impression in the music world. He Just Might Have the Coolest Name Ever – Named after his uncle, Henry Keanu Reeves, the actor’s first name roughly translates to “cool mountain breeze” in Hawaiian. 50 queries in 1.179 seconds.